Our mission is to match people who would like to be on a boat, with people who are willing to share their boat, and a great boating moment. 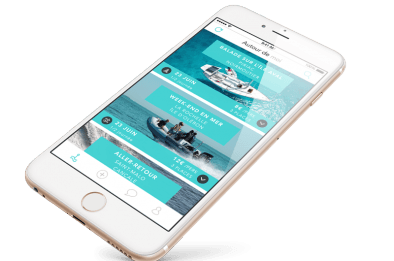 ShareMySea is the first mobile app available on iOS and Android, where users can share boating experiences like fishing or sailing, …Whether you have a boat or not, you will be happy to share your sea ! The ShareMySea app will soon be available in your country on iOS & Android. Be the first to experience the voyage, download the app and pre-subscribe now ! We are looking for partners, investors and ambassadors in your country. Feel free to contact us.